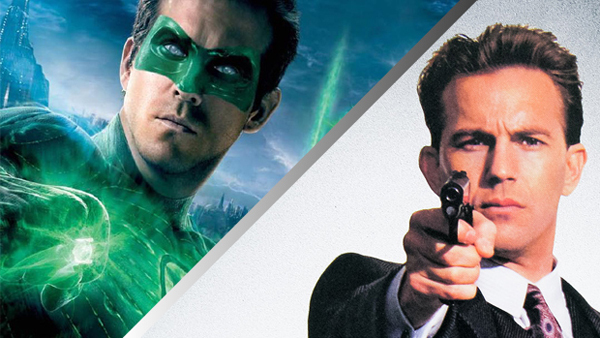 This week on the Critically Acclaimed podcast, William Bibbiani and Witney Seibold review the notorious Ryan Reynolds superhero dud "Green Lantern", and explore why it's the perfect double feature with Brian De Palma's Oscar-winning gangster classic "The Untouchables." We also review the new Ryan Reynolds superhero comedy "Deadpool 2," the Netflix zombie drama "Cargo," and the latest adaptation of Ray Bradbury's "Fahrenheit 451." We also answer your emails about topics ranging from the works of Andrei Tarkovsky to the genius of "Mystery Men." Email us at letters@criticallyacclaimed.net and follow your hosts on Twitter at @WilliamBibbiani and @WitneySeibold. And head on over to the Schmoeville! Facebook page to contribute to our weekly polls and force Bibbs and Witney to watch the bad movies YOU want them to watch!